With one transaction, you get a comfortable cabin to call home and plenty of entertainment. That’s value everyone can appreciate! When you choose our Gatlinburg cabin rentals with free attraction tickets, you won’t have to do as much picking and choosing. When the kids ask if they can go ziplining or whitewater rafting you’ll be able to say yes to both. Savings as significant as these let you treat the whole family without breaking the budget. Stony Brook’s Fun Pass lets you see some of the wonderful live performances that the Gatlinburg area is known for. Your family will definitely enjoy the Country Tonite Music Show with its mix of singing, dancing, and comedy. You’ll also enjoy one free adult admission to the Lumberjack Feud Dinner Show, where the talented cast performs feats of athleticism that are almost too incredible to believe. It’s an evening your family will talk about for years to come! When you get free attraction tickets on vacation, you can spend more time having fun with your loved ones. Attractions like Ripley’s Aquarium of the Smokies and Ripley’s Davy Crockett Mini Golf get the whole family together for a good time. Everyone will want to be in on the action at these two family friendly spots. 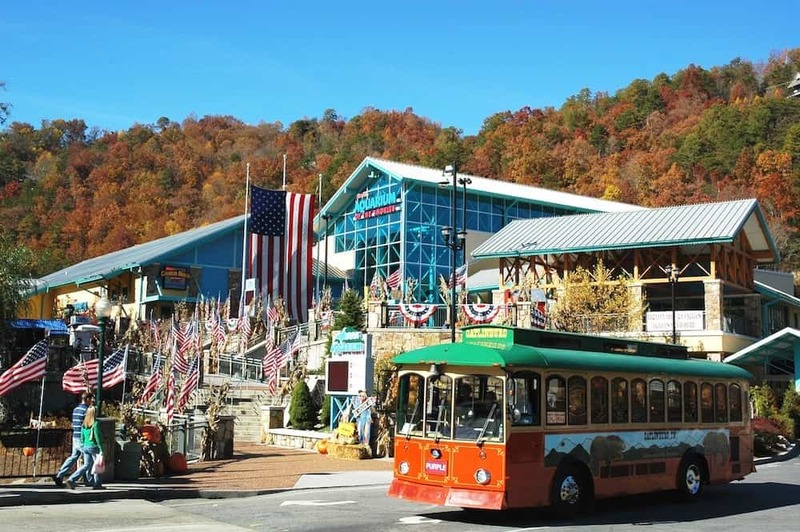 If you’ve been to Gatlinburg before, then you already know how much there is to do here. It’s impossible to do it all in just one trip, so you’ve probably got a list of new things you want to try this time. Chances are good that at least one or two items are included in our Free Family Fun Pass. This is a fantastic opportunity to discover a new favorite attraction! Gatlinburg cabin rentals with free attraction tickets are the perfect excuse to extend your vacation in the Smokies. Guests get one free adult admission to each attraction for each day of their stay. These free admissions expire at the end of each day. To really make the most out of your vacation, you’ve got to stay long enough to enjoy all of these fun-filled activities! Start browsing through our selection of Gatlinburg cabins to find the one that’s perfect for your getaway, and don’t forget to ask about our Free Family Fun Pass!